"100 Arms of the Guan-yin" by Huang Yong Ping at Marienplatz in Münster, Münster Skulptur Projekte 1997. Hot hot hot. That’s how summer is going to be in Germany in 2017. This year’s favourable astral conjuncture sees the opening in just a few days of legendary quinquennial documenta in Kassel and the decennial Münster Skulptur Projekte in the eponymous city, both in the very heart of Alemania. With less than a week to go, documenta 14 in Kassel is set to be one of the events that will mark the artsy summer of 2017. Kassel, the German town where documenta was born 10 years after the second world war, a town destroyed by Allied air raids, had one important mission: to bring Germany back into dialogue with the rest of the world after the end of World War II, and to connect the international art scene through a “presentation of twentieth-century art.” This was the intention of its founder, the native painter and Academy professor Arnold Bode, who in 1955 endeavoured to present modern western art that had been deemed by the Nazis as degenerate, as well as works from classical modernity that had never been seen in Germany in the destroyed Museum Fridericianum. Such was its success (130k visitors for its first edition) that it became a five-yearly institution. This year, documenta 14’s curator Adam Szymczyk has split the event in two: Athens, which already started in April, and natürlich Kassel. The dual location has been controversial. Germany and Greece, the strongest EU member versus its weakest link and debtor, Greece. So the German media mockingly called the newly added venue: the Schuldenland, aka the debtor country. 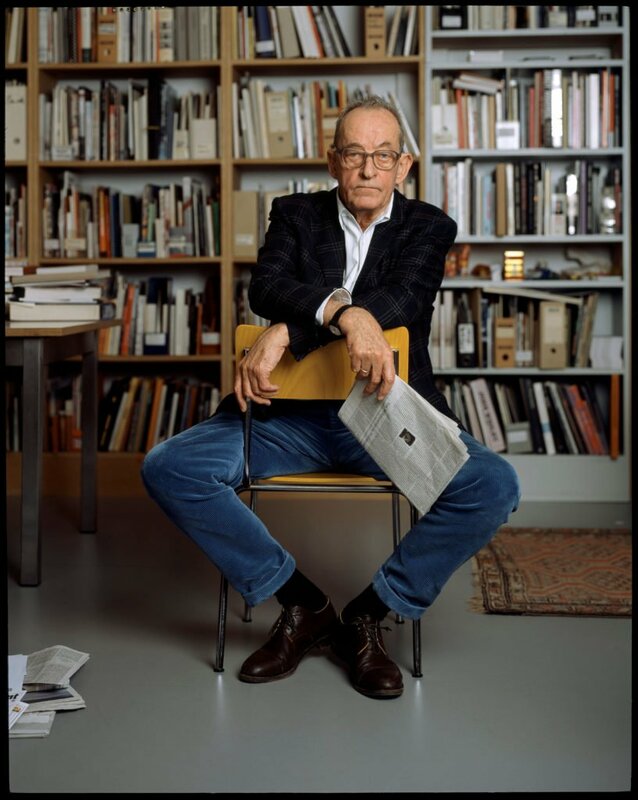 But Szymczyk has been seemingly convincing in explaining this artistic chasm and the cultural necessity, perhaps, of having such double act in the current contemporary art scene. The Polish curator described the event as the equivalent of the international art world’s conscience, “with each edition mirroring, witnessing and fiercely commenting on its time”. At the crossroad of a financial and migrant crisis that has shamed the world and challenged global humanitarian aid forces, Athens offered “fertile land” to explore the global complexities of possession and dispossession, displacement, and debt. In this view, documenta will witness a cultural exchange between museums in Athens and Kassel, allowing German and international visitors to “Learn from Athens.” And — apparently — visitors will do so in an active, participatory way this year. 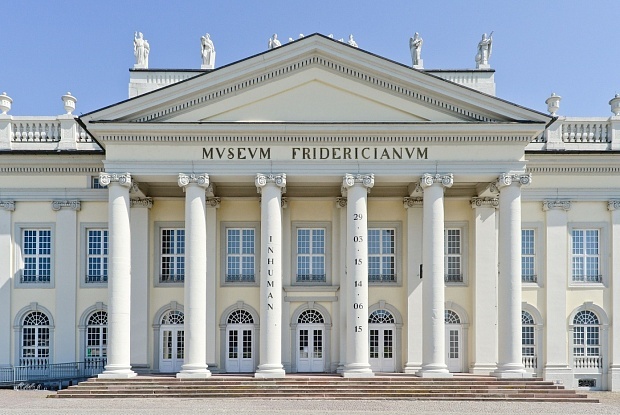 Historically, the exhibition has taken place at the Fridericanium and, since 1992, at the nearby documenta-Halle. This year, with a selection of 160 participating artists, the event will also make use of many of the public museums in Kassel, including the Grimmwelt museum, historic Ballhaus, and a former post office that is now a fitness studio. Königsplatz will host a giant obelisk. 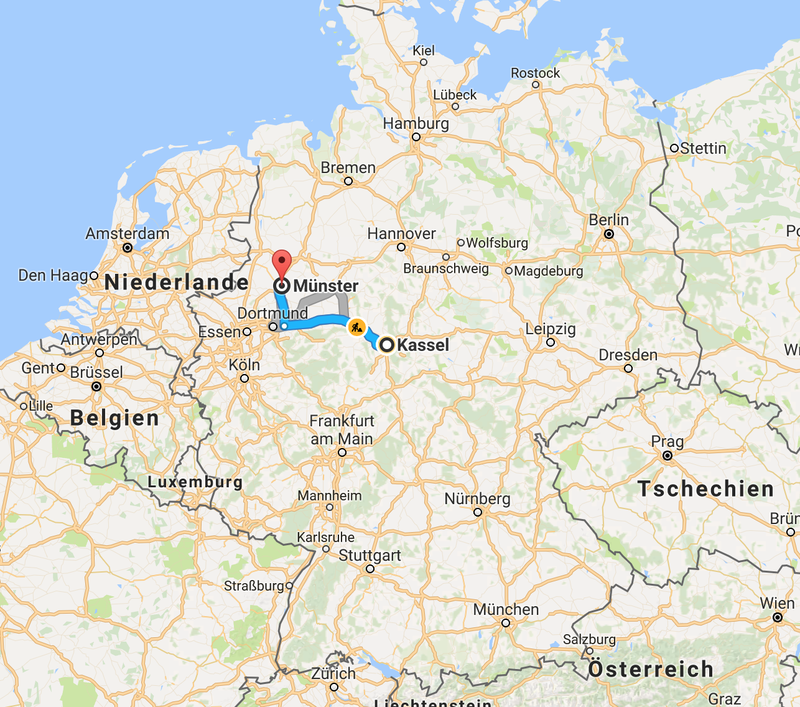 Tickets in Kassel will cost €22 ($23.50). A two-day pass costs €38 ($40.50), and for all other options, directions on how to get there and Tourist Office hours, you can check here. 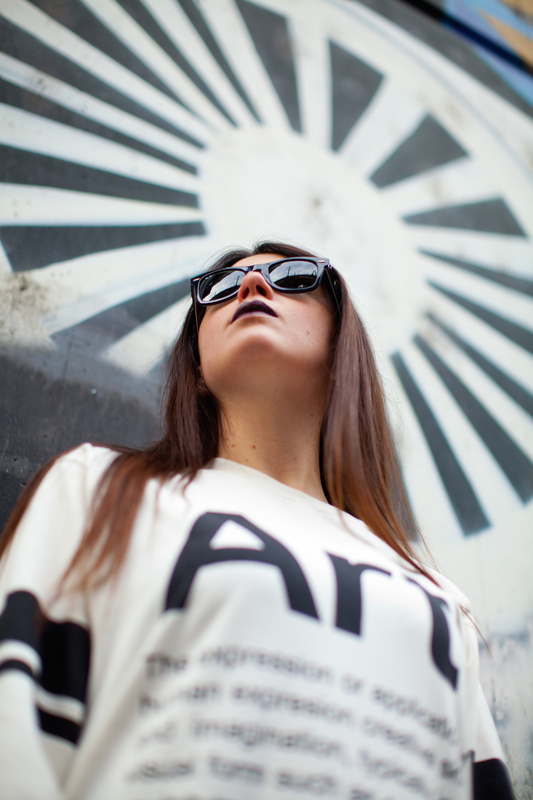 In Athens, many of the venues will be accessible free of charge, but some partner institutions will still charge their regular entrance fees. 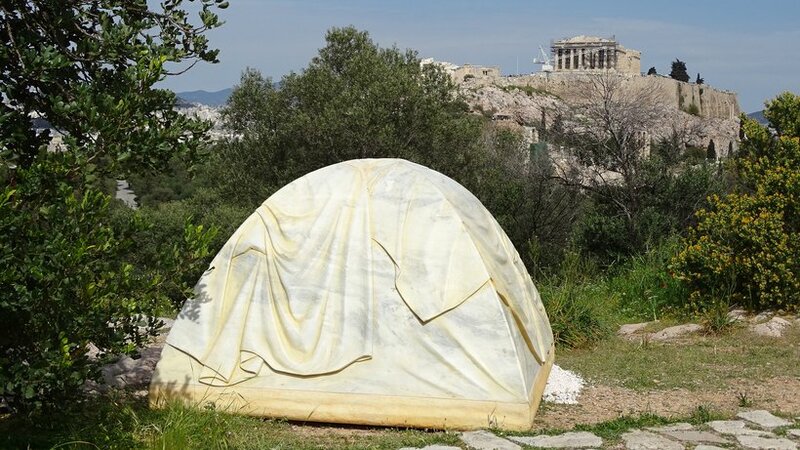 Documenta 14 is in Athens until July 16, and in Kassel from June 10 to September 17, 2017. Aka Münster Sculpture Park. The decennial founded in 1977 and held every ten years (1977, 1987, 1997, 2007) in the German city of Münster, presents the works of international artists in a wide variety of spaces around the city. Established as a major event on the global art circuit, the project’s time span and focus on the urban environment provides both an important snapshot of the state of sculptural practice and a discourse on the possibility of making artwork in the public realm. 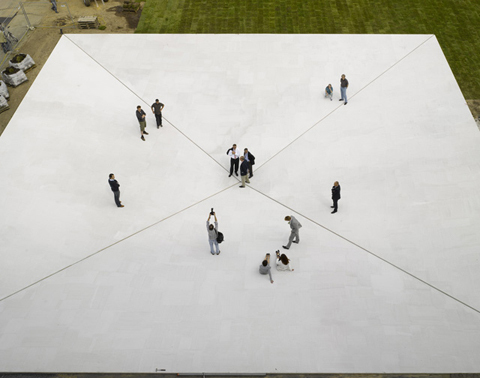 Bruce Nauman’s Square Depression (1997-2007) in Skulptur Projekte Münster 2007. 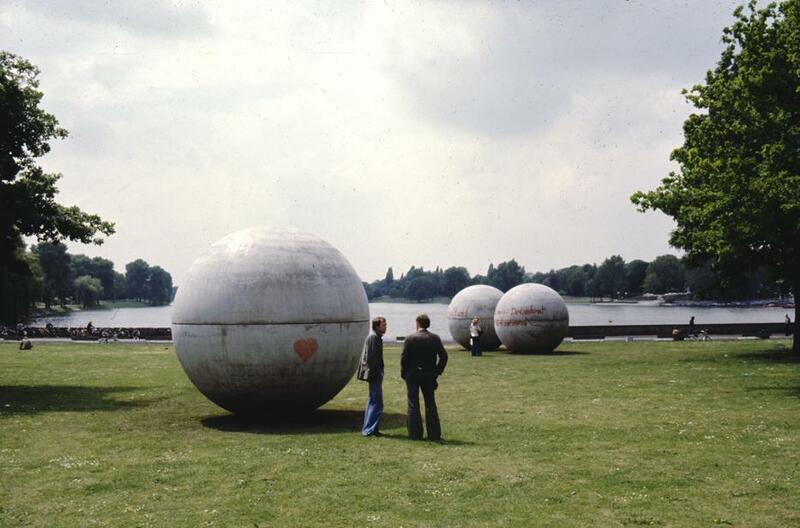 The history of Skulptur Projekte Münster is closely linked with the idea of creating a public not just with but also for art. Its concept is very much based on the ideas of the participating artists and has remained essentially unchanged over the past decades: the curatorial team invites artists from all over the globe to explore the relationship between art, the public space, and the urban environment and develop new, site-specific works. Selected projects are realised in the urban setting and inscribe themselves in the structural, historical and societal contexts of the city. At the same time, the projects point beyond the specific place: themes related to the global present and reflections on contemporary concepts of sculpture are as much an integral part of the artistic inquiries as investigation into the basic parameters of publicness and the public realm. The 35 participants from 19 countries, including Cosima von Bonin, Nicole Eisenman, Pierre Huyghe, and Hito Steyerl, were selected by the artistic director Kasper König and curators Britta Peters (a freelance curator based in Hamburg) and Marianne Wagner, (curator of contemporary art at the LWL-Museum für Kunst und Kultur). Their proposals cover a range of areas including sculpture and performance art. Legendary artistic director Kasper König. The professional preview will take place on Friday, June 9 from 10am to 8pm. Media representatives can apply for accreditation here. Since Skulptur Projekte are taking place in the public space, the projects are accessible without charge for admission. For that reason, no accreditation for the preview is necessary. On the Road: from Kassel to Münster in only 2 h by car. Are you already following artemporary on my other social media? Posted in Art Guides and tagged art guide kassel, documenta 14, documenta kassel, Münster sculpture park 2017. Bookmark the permalink.